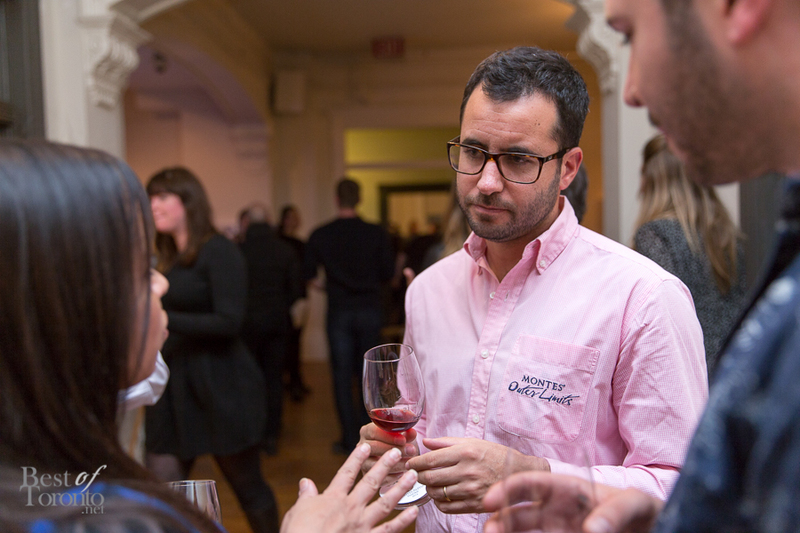 On Tuesday, March 3rd we visited the Gladstone Hotel for an exclusive tasting of Chilean wines from Montes Wines. Celebrating its 25th anniversary just last year, we had the special privilege of having winemaker Aurelio Montes Jr. lead us through the tasting, and talk about the past, present, and future of Montes Wines. Montes Jr. graduated from the Universidad Catolica de Chile’s agronomy program, majoring in winemaking, in 1999, and has worked at many wineries around the world, from Cape Mentelle in Australia, to the renowned Napa Valley in California. 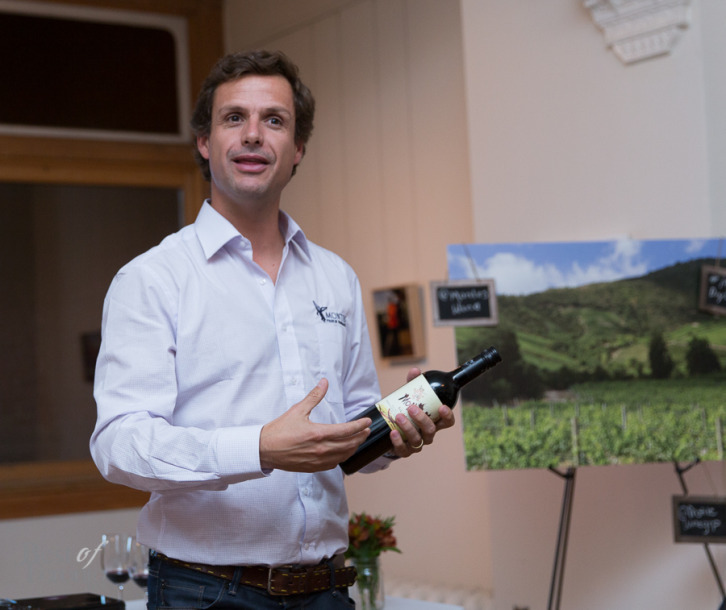 From 2001 to 2006, he returned to Chile to work at Viña Ventisquero, as assistant winemaker, taking a year off in 2005 to do social assistance work. 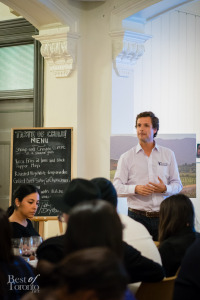 In 2007, he was invited to join the Montes winemaking team as Director of Winemaking, where he developed wines and undertook a four year study of the Montes terroir. Since then, he has experimented with new terroirs and winemaking practices such as biodynamics. Montes Wines began in 1988 with four men with a common dream – to make fine wines in Chile, where at that time, it was actually cheaper to buy 1 L of wine than 1 L of water. The long and narrow terrain of Chile provides unique opportunities and challenges in winemaking. For example, the cool ocean breeze from the Pacific in the west is beneficial for cold climate wines like Chardonnays. As the winds go inland, they warm and then are cooled again by the Andes mountains to the east, providing an ideal environment for other grapes. At the same time, Montes is experimenting with new terroirs that are in high altitudes, or on rugged, steep slopes – terroirs not typical for growing grapes. These atypical grounds pose challenges, but at the same time wines can be produced that are very unique in character. There are other advantages too – in particular with sustainable development practices, of which Montes Wines is certified and prides itself. In some vineyards, Montes is able to reduce the carbon footprint to zero. 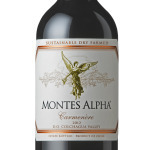 For the Montes Alpha reds, which were main the focus of the tasting tonight, since 2012 have been produced using grapes grown using a “dry-farming” method. What this means is that nature does the job of irrigation through rain, and any extra irrigation is only provided if a minimum rainfall is not met. Because of this, water consumption has been reduced by an astonishing 65%, while also enhancing fruitiness and aromatic expression, resulting in a better wine. We had the chance to sample the 2012 and 2011 version of the Montes Alpha Cabernet Sauvignon, the former of which was sustainable dry-farmed. There was indeed a noticeable difference in taste, and I actually did prefer the 2012 for its flavour and smoothness. We also were able to sample other wines from Montes, including the 2012 Outer Limits Sauvignon Blanc, whose grapes came from coastal wineries, and our favourite – the 2012 Purple Angel. Food pairings included traditional Chilean foods like a refreshing ceviche, a roasted vegetable empanada, and a coconut flan with dulce de leche sauce. The diversity of Chilean terrain, soil, and climate, combined with Montes’ spirit and innovation in exploring new terroir and sustainable techniques, have resulted in wines with enhanced flavour and distinct character – great choices for your next trip to the LCBO. Thanks to Aurelio Montes Jr. and team for educating us about Montes Wines and Chilean winemaking.